The iPhone's native camera ranks among its most impressive features, one that seems to improve exponentially with each new model that Apple releases. 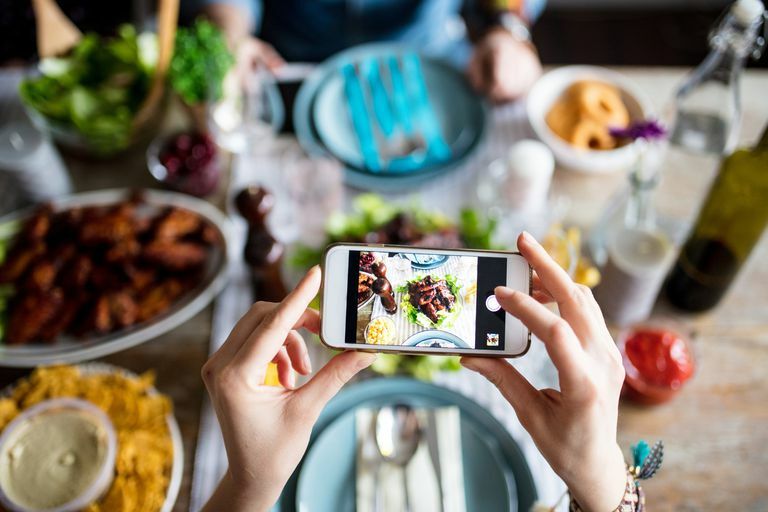 Thanks to the high-quality photos and videos it's capable of capturing, ordinary shutterbugs can take professional-level snapshots and clips with minimal experience. Once you have these precious memories stored on your smartphone, however, you may want to transfer them to your computer. Moving pictures and videos from your iPhone to a Mac or PC is a fairly simple process if you know what steps to take, outlined below for both platforms. Follow these instructions to import photos and videos from an iPhone to your Windows computer. Download and install iTunes if it is not already on your PC. If iTunes is already installed, ensure that you have the latest version by launching the application and seeing if a message appears informing you that a new update is available. If you do receive this type of notification, follow the on-screen instructions to install the latest version. This process may take several minutes, depending on the size of the update, and you may need to restart your PC once completed. With iTunes running, connect the iPhone to your PC using a USB cable – such as the one attached to your phone's default charger. A pop-up dialog should now appear, asking if you want to allow your computer to access information on this iOS device. Click on the Continue button. A pop-up should now appear on your iPhone, asking if you want to trust this computer. Tap the Trust button. You may also be asked by the Windows operating system itself if you trust the new device (your iPhone) at some point during this process. If so, select the Trust button when it appears. Return to your PC and ensure that your iPhone is now shown under Devices in the left menu pane of the iTunes interface. If iTunes still does not recognize your iPhone, follow Apple's troubleshooting advice. Once confirmed, open the Photos app – accessible from the Windows Start menu or via the search bar located in the taskbar. On Windows 10, click on the Import button; located in the upper right-hand corner of the Photos app interface. On Windows 8, right-click anywhere within the app and select the Import option. When the drop-down menu appears, click on the option labeled From a USB device. All photos and videos on your iPhone should now be discovered by the Photos app, which could take several minutes if you have a large album. Once complete, a window labeled Select the items you want to import will appear. You can select specific photos or videos within this interface by clicking on their accompanying checkboxes. You can also choose to tag groups of photos or videos for importing via the Select new or Select all links found towards the top of the screen. If you're satisfied with your selections, click on the Import selected button. The import process will now take place. Once complete, the photos and videos that have been transferred to your hard drive will appear within the Collection section of the Photos app – at which point you can choose to view, edit, copy or move them individually or in groups. Take the following steps to transfer pictures and video clips from your iPhone to macOS using the Photos app. Click on the iTunes icon in your dock to launch the application. If you are prompted to update iTunes to a newer version, follow the on-screen instructions and complete that update before continuing. With iTunes running, connect the iPhone to your Mac using a USB cable – such as the one attached to your device's default charger. A pop-up should now appear on your phone, asking if you want to trust this computer. Tap the Trust button. Your iPhone should now be listed in the Devices section in iTunes, located in the left menu pane. If iTunes still does not recognize your iPhone, follow Apple's troubleshooting advice. The macOS Photos app should also be open, displaying an import screen containing photos and videos from your phone's camera roll. If you do not see this screen by default, click on the Import option found near the top of the Photos app interface. You can now select the pictures and/or videos that you wish to import to your Mac's hard drive, clicking on the Import Selected button when ready. If you'd like to import every photo and video that resides on your iPhone but not your Mac, choose the Import All New Items button instead. Another way to transfer photos and videos from your iPhone to a Mac is via Image Capture, a fairly basic app that provides a quick and easy import mechanism. To use this method, follow the instructions below. Open the Image Capture app, available by default on all macOS installations. Once the Image Capture interface appears, connect the iPhone to your Mac using a USB cable – such as the one attached to your device's default charger. One or more pop-ups will now appear on both your iPhone and Mac, prompting you to confirm that you trust the connection between computer and smartphone device. You will also be asked to enter your iPhone passcode, if applicable. After a trusted connection has been established, the DEVICES section in the Image Capture interface (located in the left menu pane) should now display iPhone in its list. Click on iPhone. Your iPhone photos and videos will now appear in the main portion of the Image Capture window, ranked by date and accompanied by a number of key details including name, file type, size, width and height along with a thumbnail preview image. Scroll through your camera roll and select one or more items to transfer to your Mac's hard drive. Next, modify the value in the Import To drop-down menu if you wish to copy your photos and videos to somewhere other than the default Pictures folder. When ready, click on the Import button to initiate the file copy process. You can also skip the individual selection step and choose the Import All button if you wish. Following a brief delay, all photos and videos that have been transferred will be noted with a green and white check mark – as seen in the example screenshot. An alternative to directly transferring your iPhone's photos and videos to a Mac or PC using a hardwired connection is to access your iCloud Photo Library, downloading the files directly from Apple's servers to your computer. In order to utilize this method, you must have iCloud enabled on your iPhone and ensure that the iOS Photos app is turned on within your iCloud settings. Confirm this by taking the following path before continuing: Settings > [your name] > iCloud > Photos. Once you've determined that your iPhone photos and videos are indeed being stored in iCloud, follow the instructions below to download them to a Mac or Windows PC. Enter your iCloud username and password and click on the login arrow, located on the far right-hand side of the Password field. A pop-up will appear on your iPhone, asking for permission to access iCloud. Tap the Allow button. A two-factor authentication code will now be shown on your iPhone. Enter this six-digit code into the fields provided in your browser. After you've successfully authenticated, several iCloud icons will appear in your browser window. Select Photos. The iCloud Photos interface should now be displayed, containing your photos and videos broken down by category. It is from here that you can select one or more images or recordings to download to your Mac or PC's hard drive. Once satisfied with your selection(s), click on the Download button – located near the upper right-hand corner and represented by a cloud with a down arrow in the foreground. The selected images/videos will be automatically transferred to your browser's default download location. In addition to the browser-based UI, some native macOS apps like Photos and iPhoto also allow you to sign into iCloud and wirelessly access your images. PC users, meanwhile, have the option of downloading and installing the iCloud for Windows application if they prefer that over the web-based route.